This was not the first time Ngiam Tong Dow had critiqued the PAP leadership. In 2003, he asked for more competition for PAP elites. His retraction is a desperate play of power by PAP, it may even be LKY bleeding for retraction. Given what Ngiam had said earlier in 2003, his retraction cannot be sincere. “It is the law of nature that all things must atrophy. Unless LKY allows serious political challenges to emerge from the alternative elite out there, the incumbent elite will just coast along. At the first sign of a grassroots revolt, they will probably collapse just like the incumbent Progressive Party to the left-wing PAP onslaught in the late 1950s. 2. Spreading of top talents between government and private sectors. “Take our industrial policy. At the beginning, it was the right thing for us to attract multinationals to Singapore. For some years now, I’ve been trying to tell everybody: ‘Look, for God’s sake, grow our own timber.’ If we really want knowledge to be rooted in Singaporeans and based in Singapore, we have to support our SMEs. I’m not a supporter of SMEs just for the sake of more SMEs but we must grow our own roots. Creative Technology’s Sim Wong Hoo is one and Hyflux’s Olivia Lum is another but that’s too few. 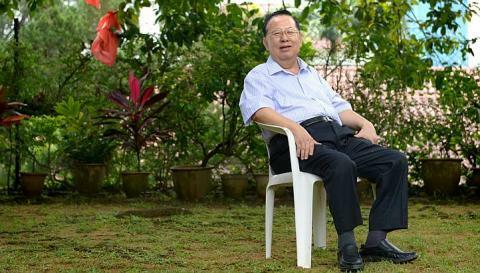 Ngiam Tong Dow is not exactly alone among the insiders to criticize PM LHL’s government in recent years. a. Dr Tommy Koh had called the income inequality as socially unconscionable. b. Professor Lim Chong Yah, had a dramatic proposal to narrow the economic gap – raising low-level salaries by 50 per cent over three years and freezing top-end incomes for a similar period. At every level of society, nothing is quite right for PAP. Even the insiders who are closely related to PAP feel that the policies are alienating people from the government. And Ngiam has correctly pointed to the way a closeted culture without competition had made the PAP too comfortable. Contrary to their insidious assertion that Singaporeans are becoming too ‘dependent’, PAP is the one that is uncompetitive, unimaginative and relying on a compliant citizenry to have an easy life. Well, no more! No more.